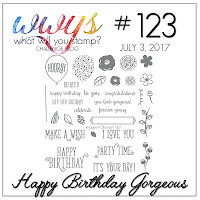 Tina's Creative Studio: Happy Birthday Gorgeous for WWYS123! 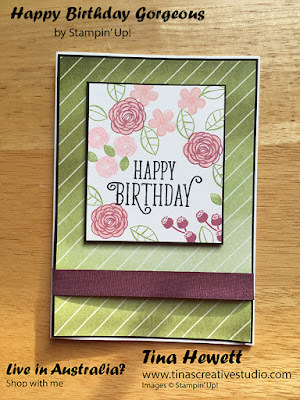 Today's card uses the versatile Happy Birthday Gorgeous stamp set from Stampin' Up! 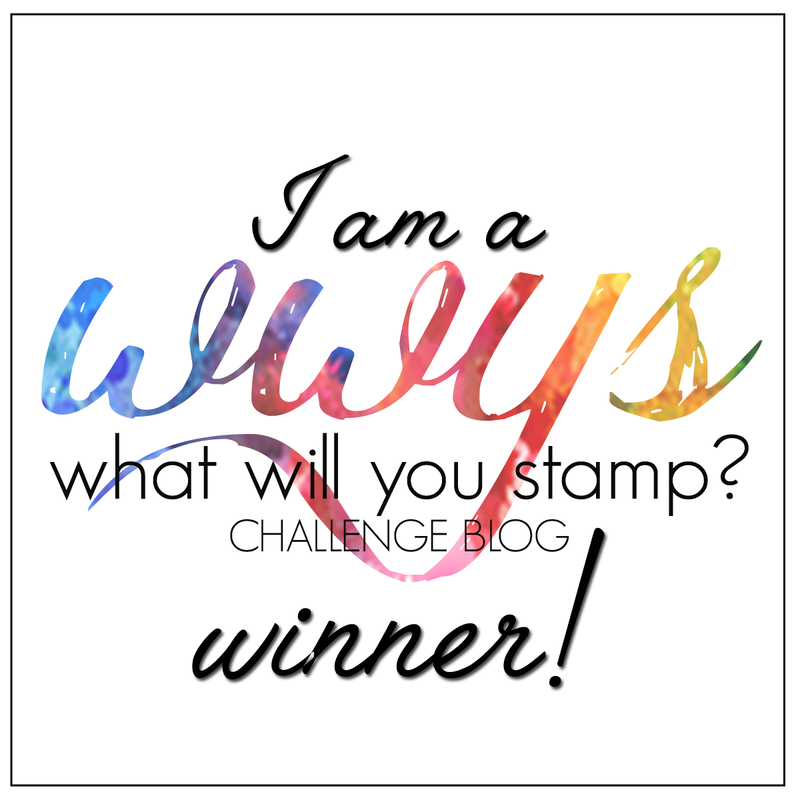 which I'm entering in the What Will You Stamp? Challenge 123. There are lots of images in this stamp set, which are great for building up patterns and clusters of elements. It works with the Balloon Bouquet punch, and you can choose to purchase this in a bundle with the gorgeous Happy Birthday thinlits, and get 10% discount. 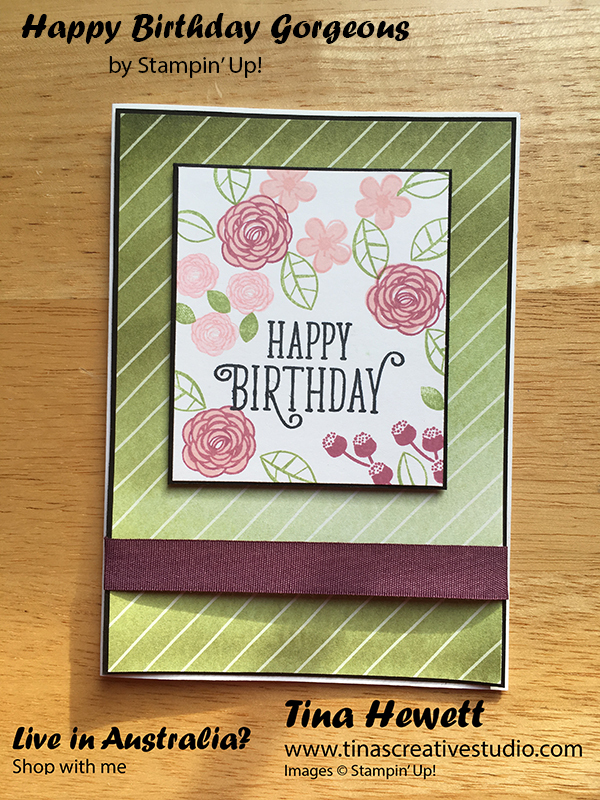 I stamped the greeting first in Memento Tuxedo black ink, and then filled the panel with some of the flower images. I then matted the feature panel onto Basic Black card and used Dimensionals to adhere it to the Designer Series Paper. This was also matted in Basic Black cardstock and adhered to a Thick Whisper White card base. The strip of ribbon is Fresh Fig Finely Woven Ribbon.